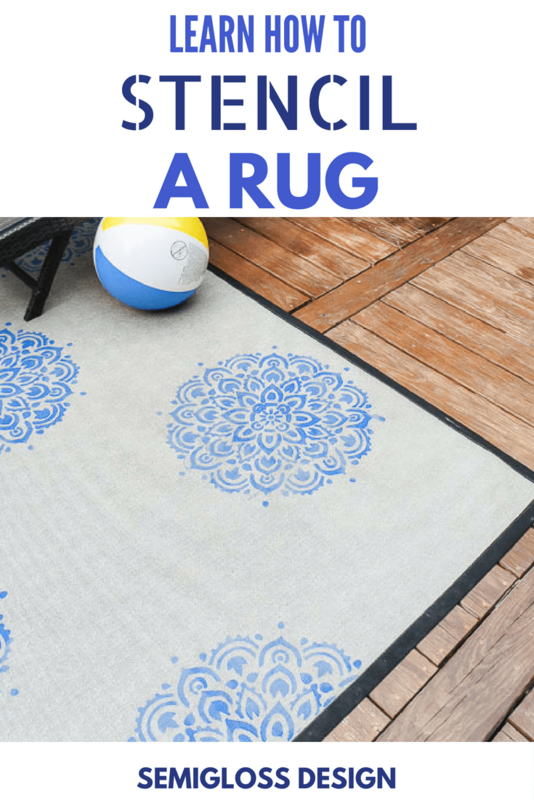 Learn how to stencil a rug. Stenciling is one of my favorite ways to personalize a home, like these stenciled signs, my stenciled bathroom, my boho mirrors or my fireplace. When I bought this outdoor rug a few years ago, I was just hoping to find something to protect our feet from the scorching sun. It did the job, but it was a little boring. 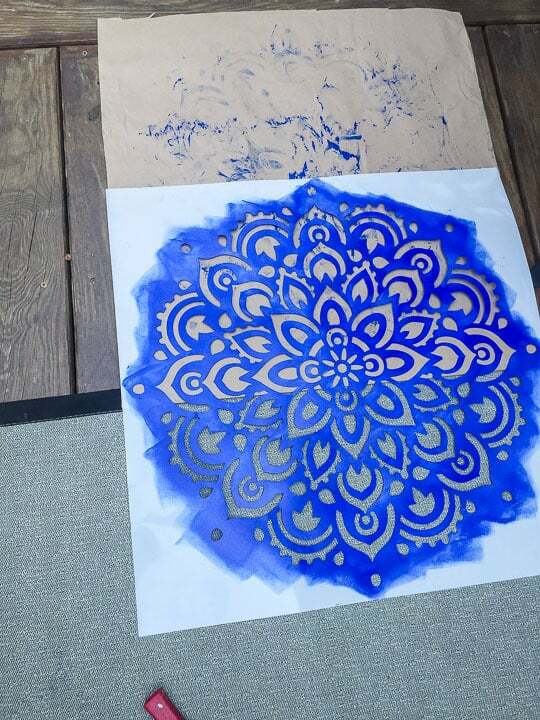 So I turned to paint as I always do and added a fun stencil to this rug to add style to my deck. Stencil Revolution provided me with paint for this project, but all thoughts and opinions are my own. I would never recommend products that I wouldn’t buy or use on my own. Your support helps me make more projects like this one! Do you have a boring rug that could use an update? 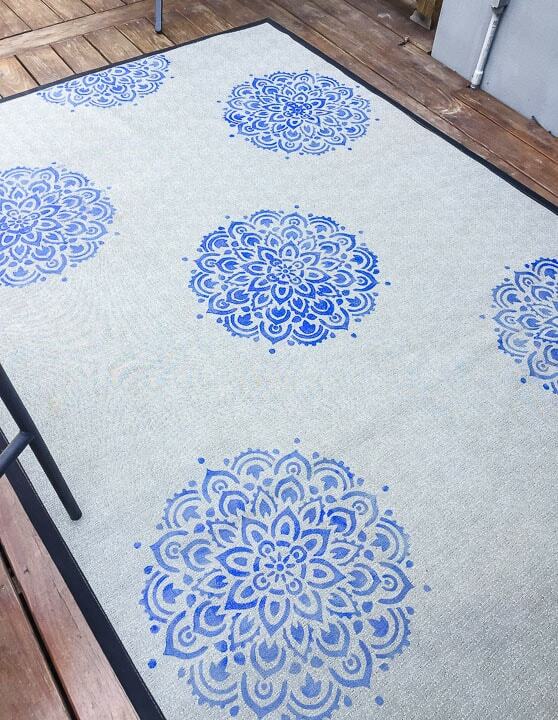 Learn how to stencil a rug with these easy steps! 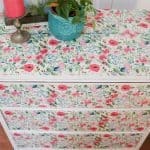 What kind of rugs are good to stencil on? 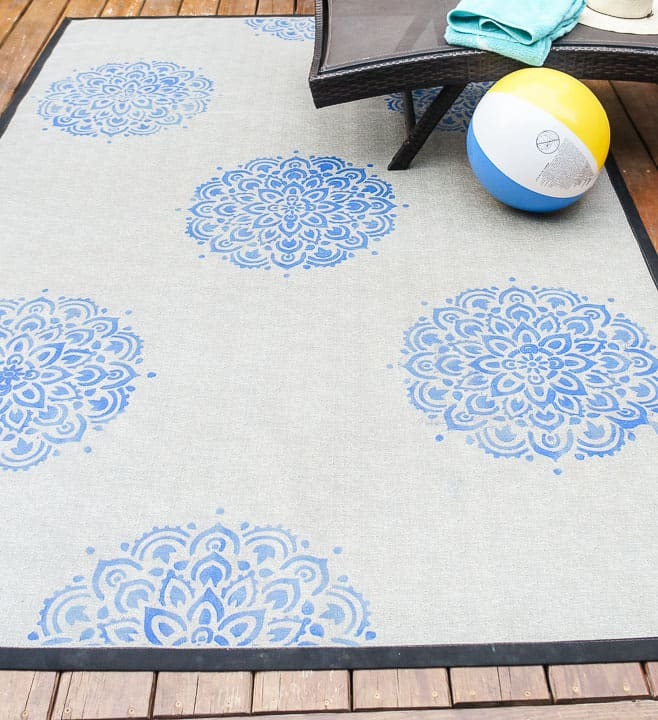 Flat rugs without a lot of texture are the easiest rugs to stencil on. The rug that I used is an outdoor rug with a rubber backing. Natural rugs without patterns are good as well. I’ve painted on a doormat before with good results. Just don’t expect perfectly crisp lines. Go for simple. 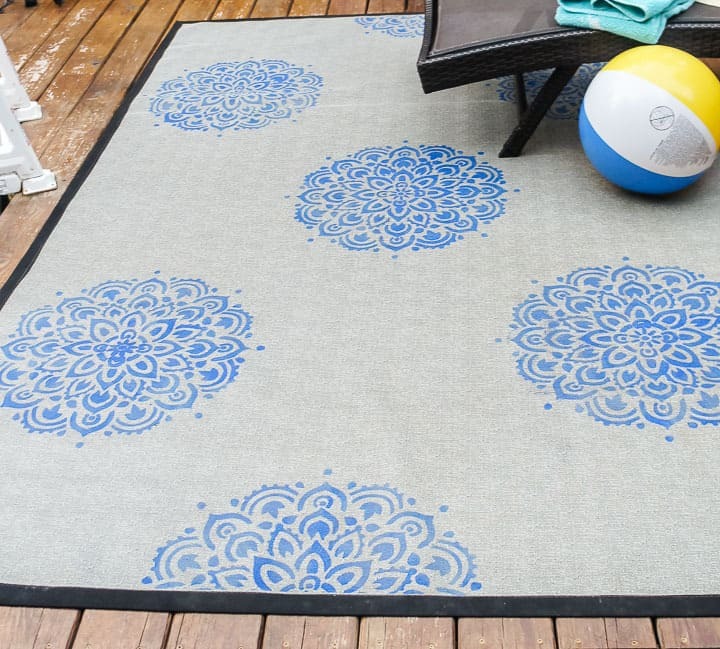 Since even the smoothest rug has texture, choosing a simple design will make your life easier. Plus, it will look a little better on the texture. Bigger is better. A bigger stencil fills more space. Which means less work for you and the job is done faster. 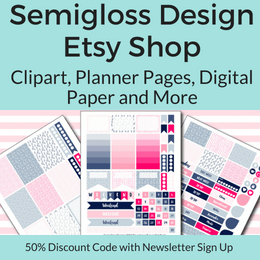 I chose a 25″ x 25″ stencil. Get inspired. Look at traditional rug designs for ideas. 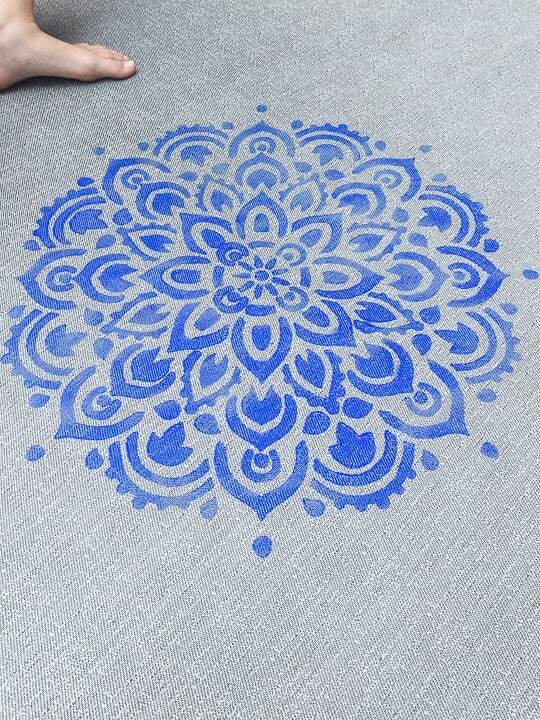 Mandalas work great for creating medallion style rugs. Trellis patterns are also a traditional pattern for rugs. Be inventive. Go for something all your own. Just because it hasn’t been done before, doesn’t mean that it can’t be done. These stars would look so cool on a rug! I chose outdoor paint since the rug lives on my deck. The paint was something that I already owned, but I love the color and consistency of the paint. Plus, I know for a fact that it stands up well to the elements because I used it on a doormat. 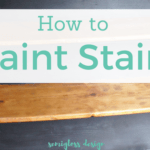 Use a paint with good coverage, like latex paint or even chalk paint for indoors. Since you can’t really do 2 coats on a stencil, your paint needs to be thick. Use a very dry roller. 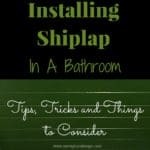 This helps to prevent the paint from bleeding under the edges. A roller creates a vintage effect with “faded” parts. For a more solid look, use a stencil brush. Remember to keep it very dry. 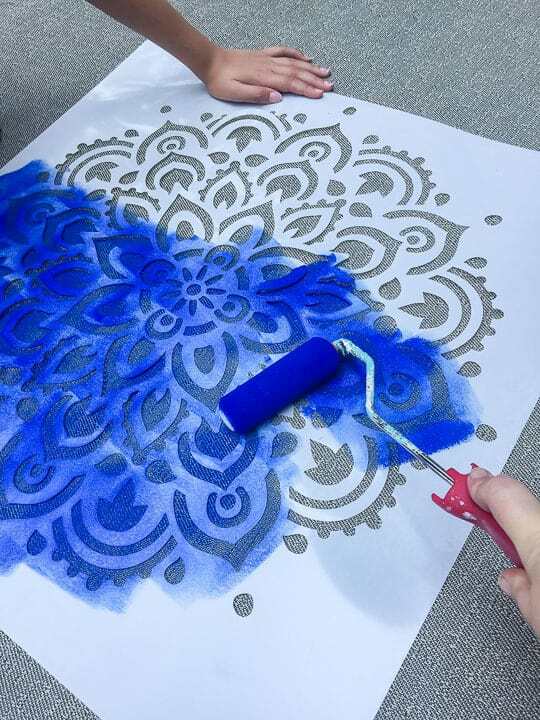 Keep paper towels on hand to clean the back of the stencil to avoid smudges. A helper is handy to hold the stencil while you’re applying the paint. If you don’t have a helper, use painter’s tape. Don’t sweat mistakes. Patterns read as perfect from far away. 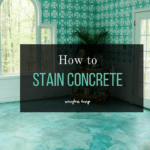 Protect your floor with a drop cloth. 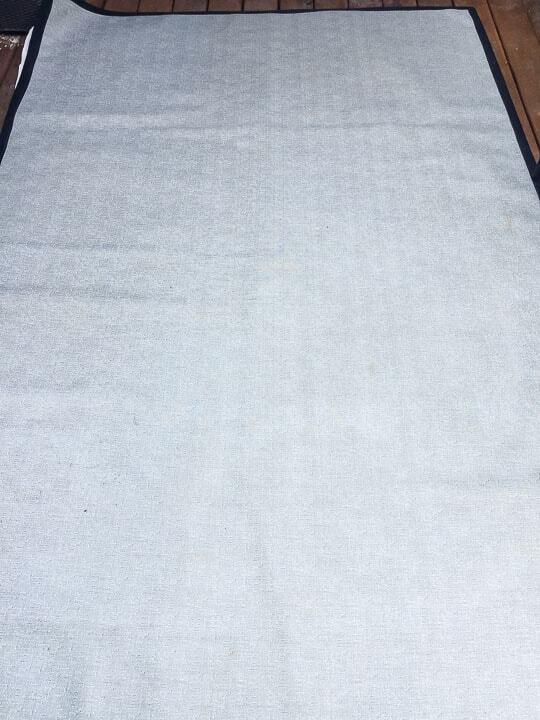 Although my rug is rubber backed, I still wanted to protect my floor, so I laid out a drop cloth first. Place your rug on it. Finding a large open space was probably the hardest part of this project. I had to move a lot of furniture out of the way. Put your pets away. For us this meant listening to our dog cry for half an hour because we were outside without her. Start in the middle of the rug. If you’re doing an all over pattern, you can start in a corner, but because I’m using a mandala stencil, I wanted a center medallion. Load your roller with paint. Remove almost all of it. You want a very dry roller. Start rolling over the stencil. It might not look like it’s covering very well, but it is. Don’t over-apply paint. When your stencil is complete, lift up and admire your work. Clean the stencil back to avoid smudges. I used the paper that came with the stencil and flipped the stencil over. Then I used paper towels to wipe away the wet paint. 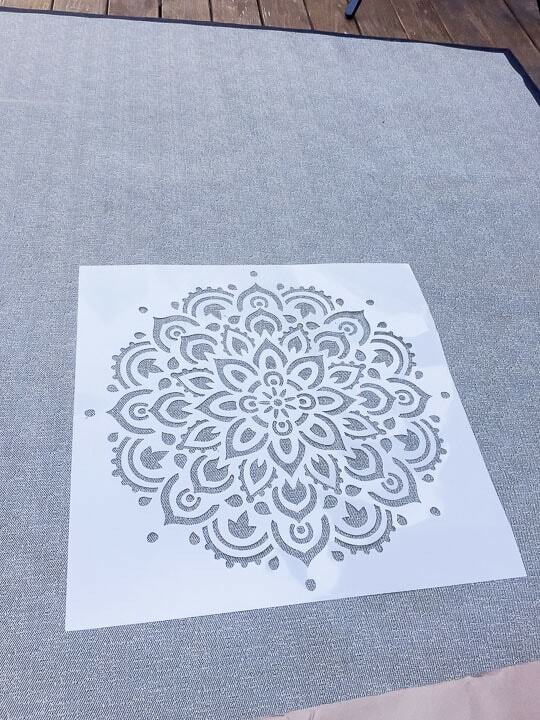 You can also clean the stencil between each stencil, but since I was working outside, I chose the paper towel method. Move on to your next stencil. If you’re working in a tight space, be sure to not trap yourself in a corner. For that reason, I started near the back. My stencils were staggered in a checkerboard pattern. To stencil near the edges, I laid the paper along the rug binding and stenciled. This allowed me to get near the edge without stenciling on the binding or floor. You can skip this step, but I liked how the stencil continued off the edge. When you’re done with your pattern, let the rug dry. 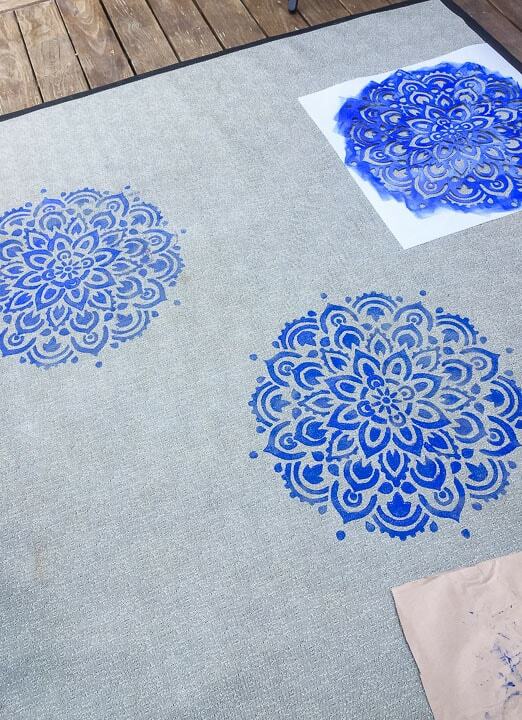 Now you know how to stencil a rug. Don’t forget to clean the stencil. I placed my stencil in the bathtub and used a scrub brush to remove the paint. A sponge also works well for this. 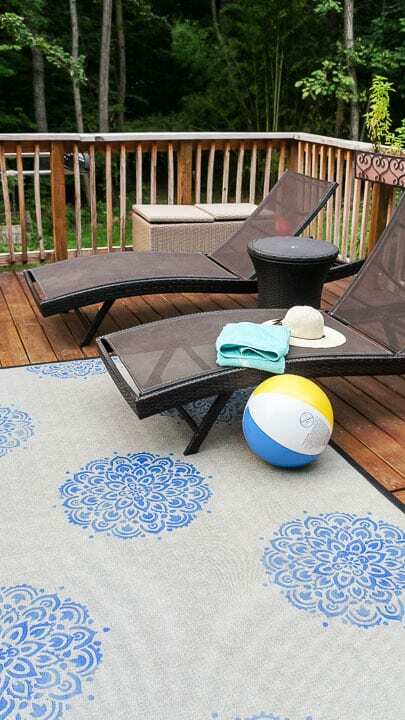 The stenciled rug is the perfect start to a deck makeover that will be happening in the fall when the weather cools off. I’ll give you a hint: this stencil will be a huge part of the deck! The rug isn’t boring anymore and it’s still a light color that doesn’t burn our feet. Who’s ready for a dip in the pool? that looks great, emy! i love the blue color you chose!